People spend a lot of time and money turning their living room, kitchen, dining room, and bathrooms into well designed spaces. There are paint samples, choices in appropriate flooring, lighting fixtures, and furniture. And why do we do this? Because these are the rooms that other people see when they visit. That is why rooms like the bedroom don't get as much attention. I mean, how often do you give people a tour of your laundry room? But you use your laundry room and wouldn't it be nice to feel as comfortable and happy in that room as you do in the "visitor" rooms of you home? There are things that you can do to instantly perk up the space without spending a lot of money or investing much time. Just as you would do for any room in your main floor, picking out paint colors, choosing a counter top or laying down a decent flooring is important. Every room needs light, so rather than choosing a basic florescent utility light, why not opt for something a little more stylish? I'm a huge fan of hardwood floors, and there are a few companies that make realistic looking vinyl plank hardwood flooring. This is perfect for a laundry room, especially if it is the basement, because it won't be damaged if it gets some water on it. But the look of hardwood (or tile, if that is what you prefer) will instantly make the utility room feel a bit more homey. 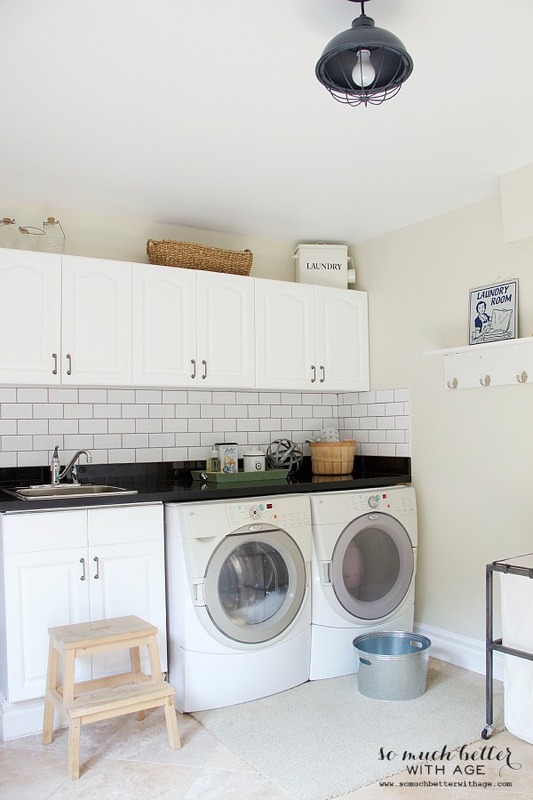 And the easiest and least expensive way to make your laundry room feel like another room in your house? Add a few decorations! A vase of flowers, art on the wall, a candle burning on the counter. 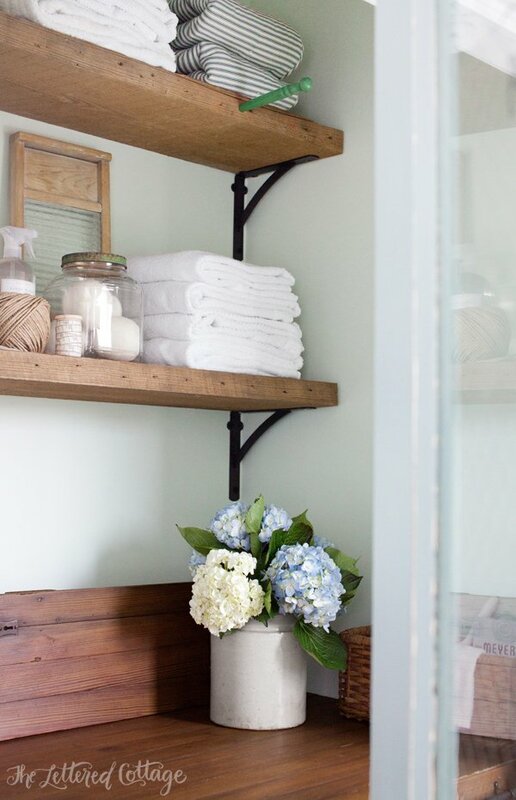 All these things make the laundry room feel like an extension of the main house. Shelves and cupboards are not just for the kitchen or bathroom. If your laundry room is going to look like a room and not be cluttered, you need a way to store items that people don't need to see. Extra bottles of detergent. A basket of lost socks. A stain removal kit. If everything that needs stored in the laundry room has a place to live, the room is less likely to get cluttered. And even more important, you'll be able to find what you need when you need it. 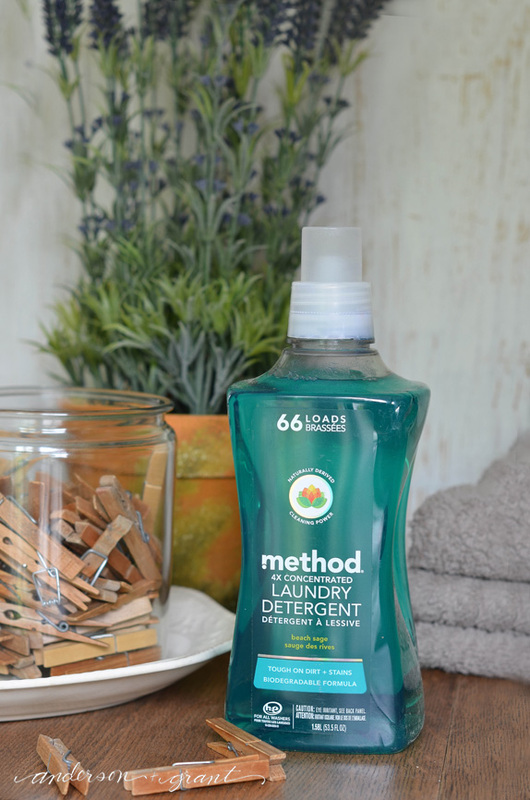 Just as having a proper place to store items in the laundry room will encourage you to put them away, having a proper place to sort and fold the laundry will make it easier for you to do those jobs correctly. It is faster to sort and fold when there is space set aside to do it in. If your laundry "room" is in a closet, you'll have to be more creative than if you had a whole room to work with. But it is possible in practically any laundry space to create a flat surface for folding and have a few separate baskets for sorting. You may have to install a shelf above the washer and dryer for holding those baskets and move them to the floor when sorting. You can install a shelf for folding that can be folded up and out of the way when not in use. 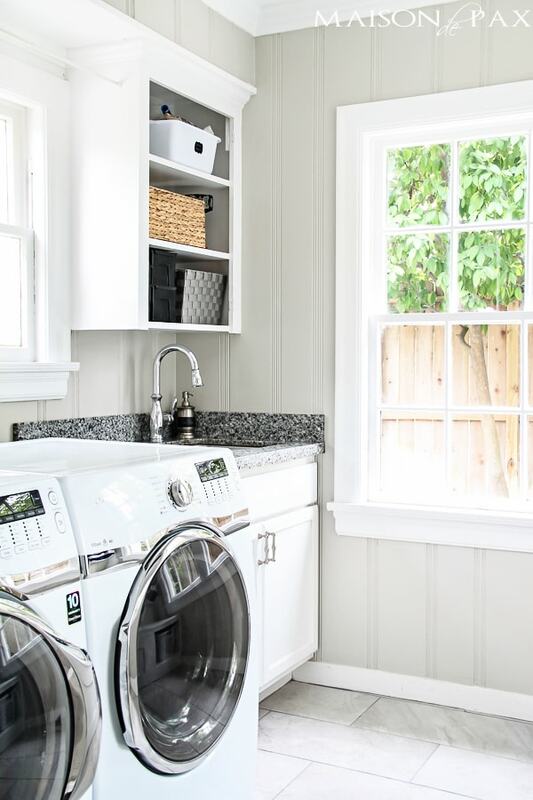 You may be lucky enough to have a laundry room on the main floor of your house where it receives plenty of natural light. But if you are like me and the laundry room is in the basement, you need to make sure that there is still plenty of light in the room. 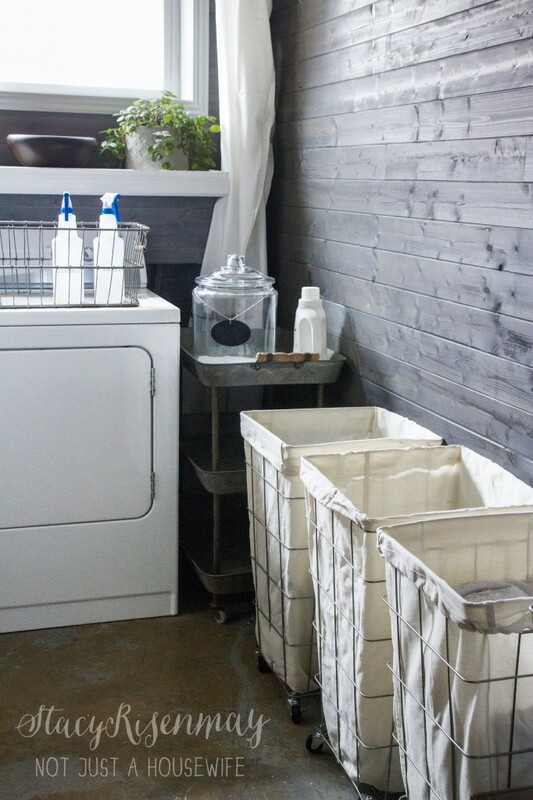 A dark, dingy basement space will only make you hate spending time doing the laundry. Whereas, a properly lit room (whether naturally or by the lighting fixtures you choose) will make the room seem a more cheery to work in. There is not a lot of ways to add color and texture to a utility space, but it is possible. These two elements can add a designer touch to the room. Search for a pretty patterned ironing board cover. Pottery Barn makes some very stylish ones or you can make your own. Add curtains in a coordinating fabric around your windows. Even if you have small windows or no windows at all, you can fool the eye into believing that a window exists on the other side of the curtain. I've seen decorators install a full-window blind with curtain panels on the side in basements to make the room seem like you could look right out into the backyard! Throw down a long-lasting sisal rug on the floor for a bit of texture. It gives you something to stand on and makes the room seem more cozy. Install a wall made of rustic plank boards for some texture on the wall. Even easier is if you can find brands who package their products in ways that entice you to leave the items out on the counter. 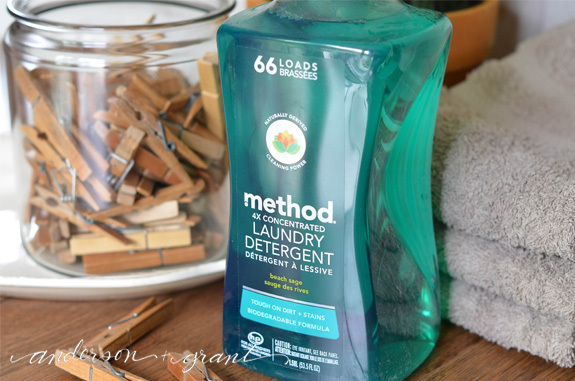 As with all their products, method has found a way to design a laundry detergent bottle to look down right pretty sitting out with their new 4X Laundry detergent. And the bright soap in the transparent bottle adds a nice pop of color! 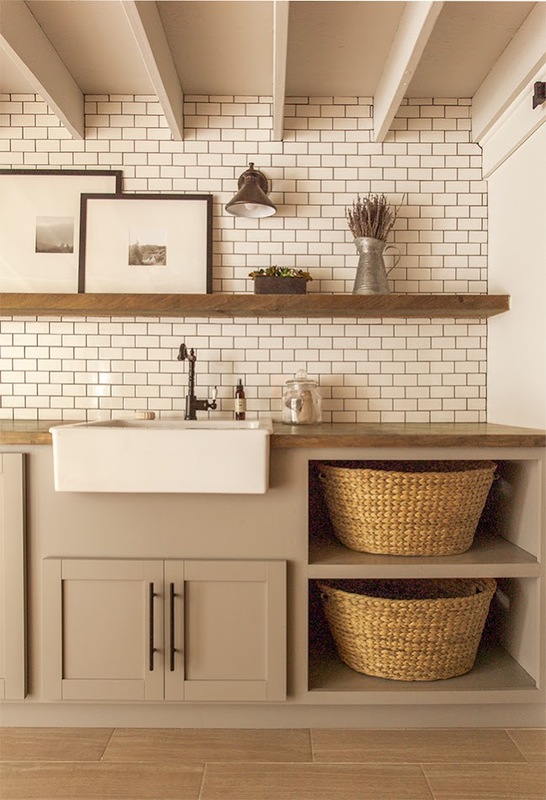 Old, utilitarian items like an iron or washboard add character to a space. I'm always looking for unique items that can make my rooms different than anyone else's, and scouting out vintage treasures is the best way to do that. In no way would I like to return to the days of using washboard to do laundry, but I do like to be reminded that we do really have an easier job of chores nowadays. Even though most people find doing the laundry and ironing dreadful chores, it could be a lot worse! The design world is catching on to decorating laundry rooms. There is artwork on Etsy to fill your walls. Places like Ballard Designs and Pottery Barn sell interesting items like giant safety pins and clothes pins to hang. 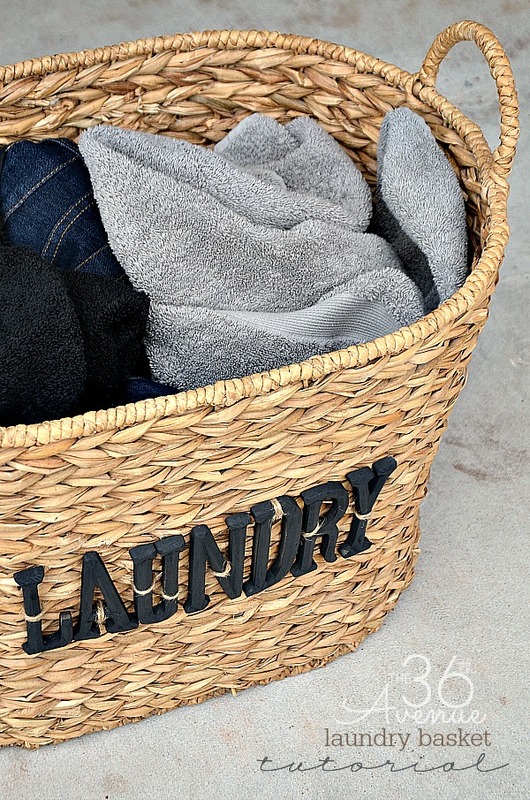 And there are interesting laundry baskets that you can search for or make yourself! 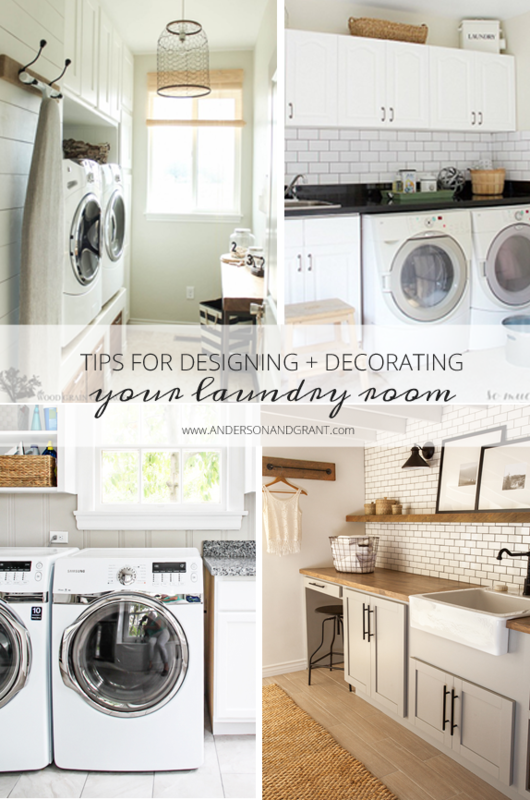 So those are my tips for creating a fabulous laundry room that you'll want to show off to your friends! Have you incorporated any of these ideas into your space already?